Yuu Baal Espadin Joven is excellent for all occasions, as an appetizer or even as a complement for some of the most diverse regional foods, national and international alike. You will delight in a prestigious note of soft flavours and exotic nature, followed by a refreshing flavour of vigorous intensity that reflects the first years of the maguey plant. For the ardent palate as much as in the indulgence of its outmost desire as in the enjoyment of the undiscovered, a drink that demonstrates the marvellous density of the best Mezcals. Yuu Baal Espadin is good for all occasions, as an appetizer or even as a complement for some of the most diverse regional foods. 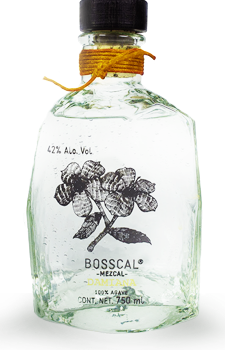 It is made from farm grown agave Espadin, and it exhibits a nice, soft flavor followed by a refreshing but vigorous intensity that reflects the first years of the maguey plant. This mezcal is made by Mezcalero Isaias Martinez Juan in San Juan del Rio.